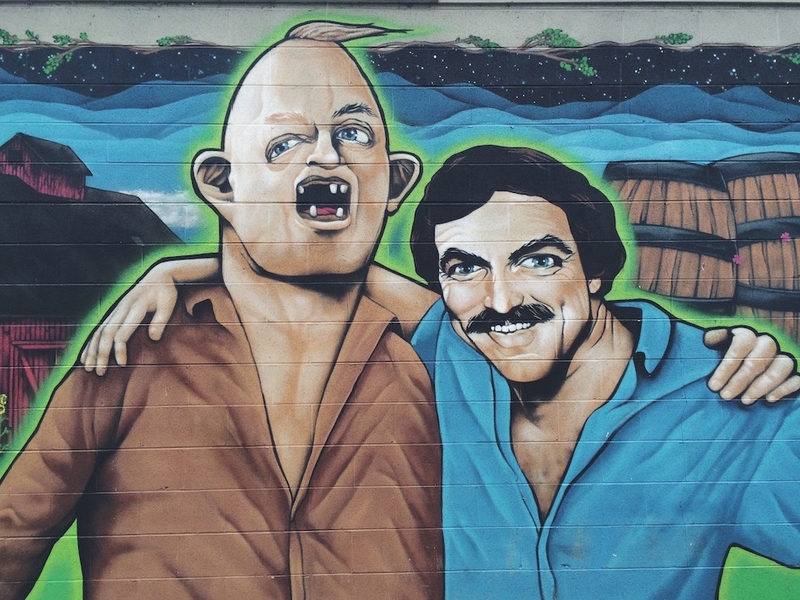 No one knows why Tom Selleck is hanging out with Sloth in the patio mural at Burial Beer Co. in Asheville, North Carolina. Just go with it. 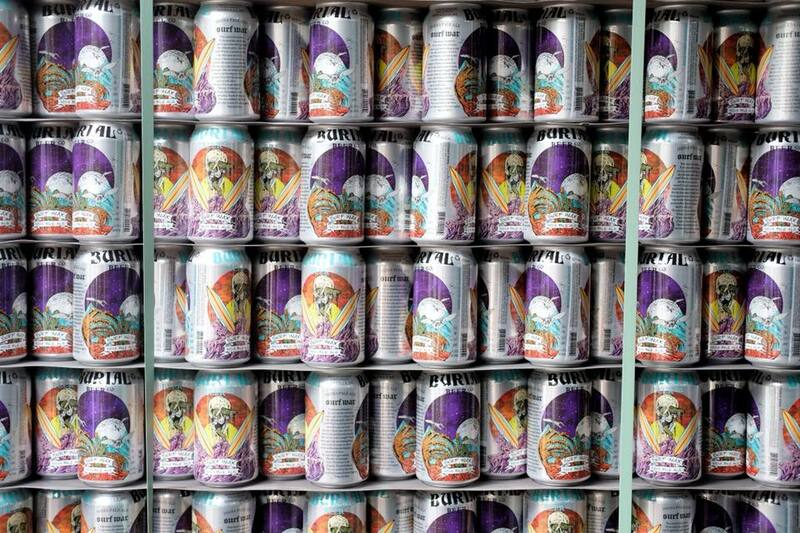 That quirky sense of humor pops up again on the South Slope brewery’s drink list. 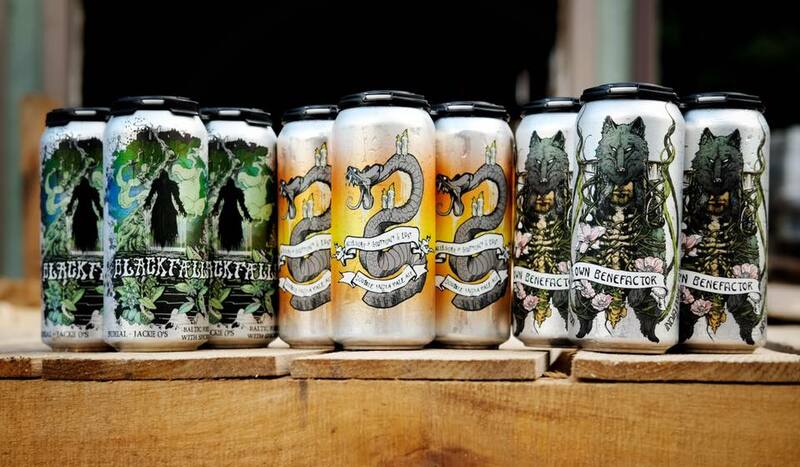 Head beer whiz Tim Gormley’s greatest hits include Depths of My Inner Sorrow IPA and the Crossing of Cosmic Frequencies Farmhouse Pale Ale. 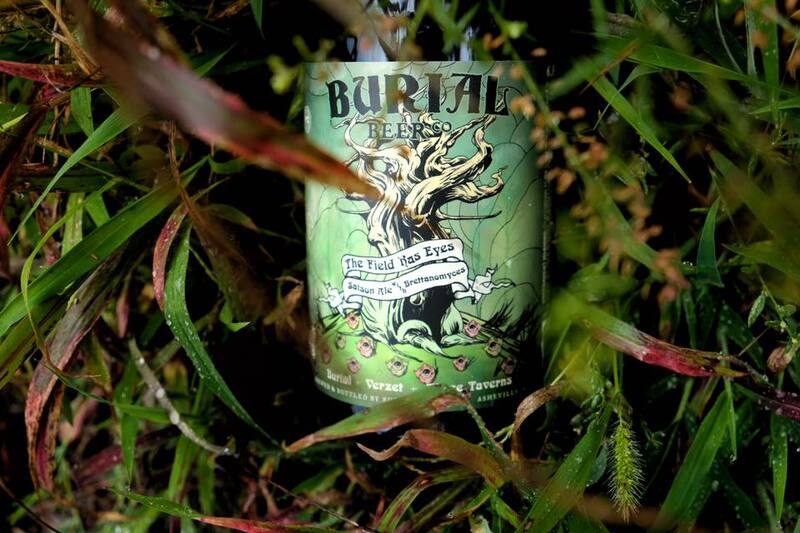 Joined by co-founders/married couple Jess and Douglas Reiser, the trio has turned Burial into one of the area’s most progressive breweries. 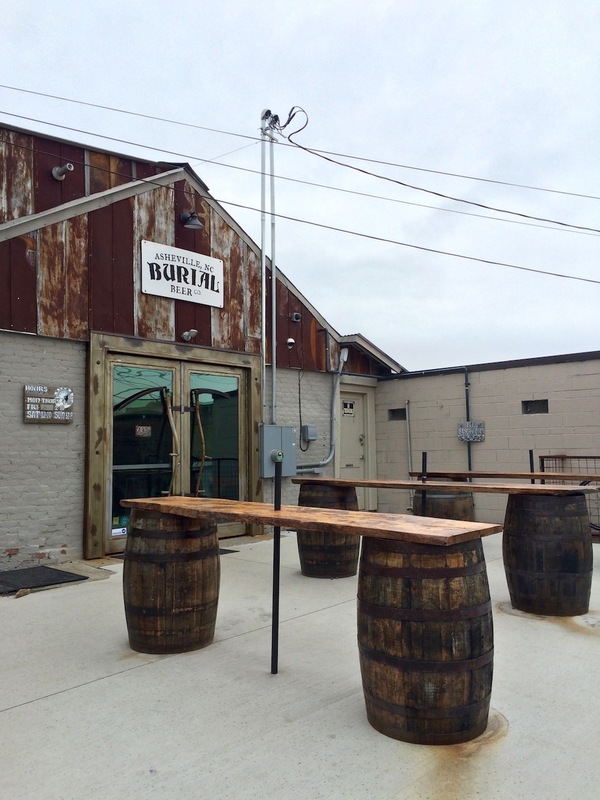 On the food front, Salt & Smoke has set up shop on Burial’s outdoor patio. The menu changes all the time but charcuterie is a staple. Depending on the season, bar snacks include a “salty-sticky-sweet” nut mix with fried chicken skin, hush puppies with honey-chili butter, and fried smelts with Old Bay-lemon mayo dip and celeriac slaw. Co-owner and executive chef Josiah McGaughey stuffs a mean tube of meat, sometimes incorporating foraged ingredients like purple nettle, yarrow plant, and wild spring onions. Ask him for a suggested beer pairing. FYI: Burial’s next step is a big one—a “forestry camp” in South Asheville featuring a two-story tap room, all-local-everything restaurant, and urban gardens. 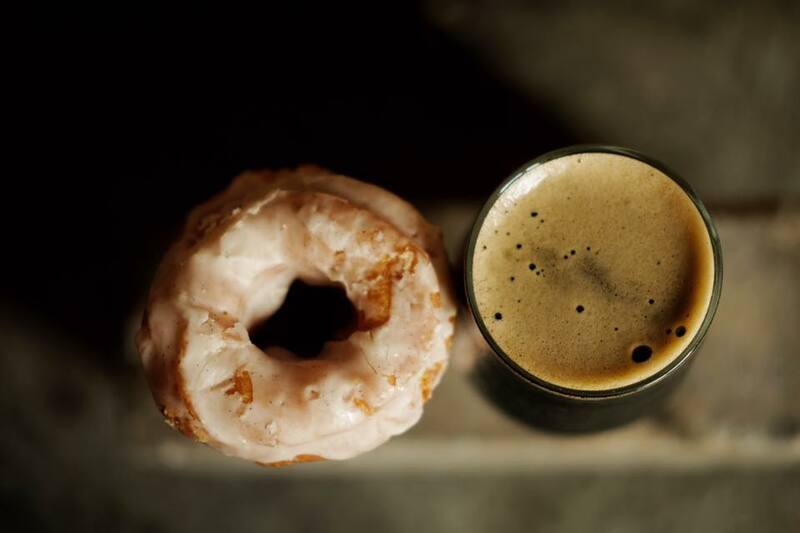 The two-acre property will be capable of churning out 60-barrel batches of local favorites like Skillet Donut Stout and a diffusion line of lip-puckering sours. Production on the project has already begun; we’ll keep you posted. 40 Collier Ave., Asheville, NC; 828-475-2739. 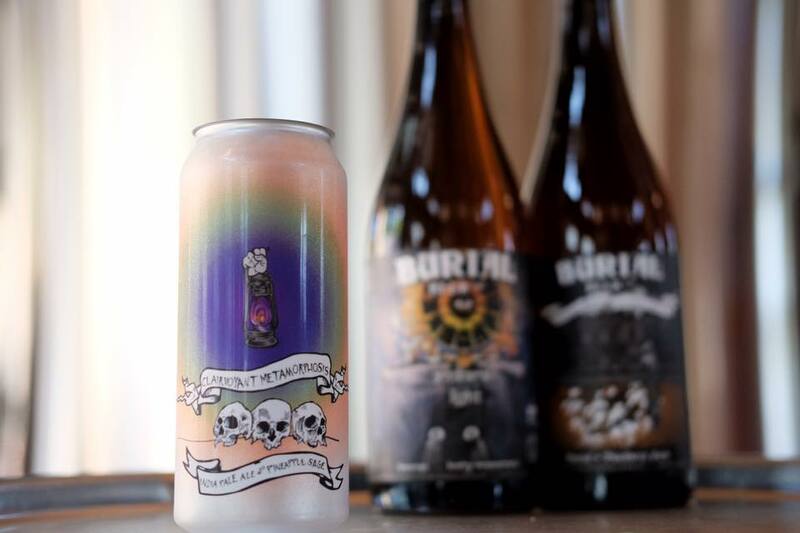 Additional photos courtesy of Burial Beer Co.